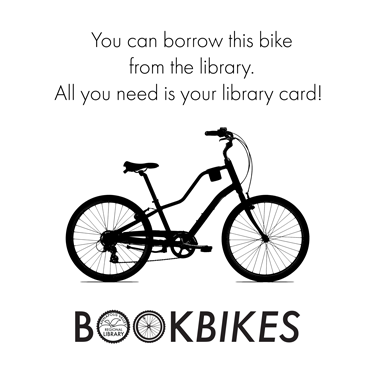 The AVRL BookBikes are available to borrow at the Annapolis Royal, Berwick & Wolfville branches (as of April 16th, 2019). Pedal around in style on one of our new BookBikes. Chain Austen, Edgar Allen Go, and JK Rolling are ready for adventure. Find out more on our BookBikes page!